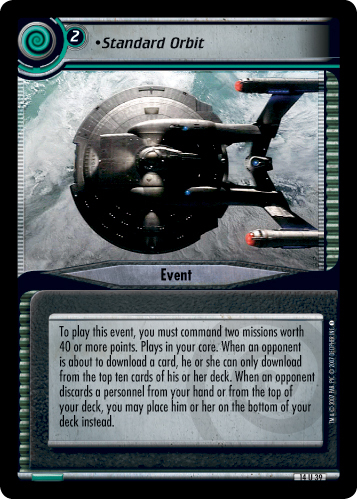 To play this event, you must command two missions worth 40 or more points. Plays in your core. 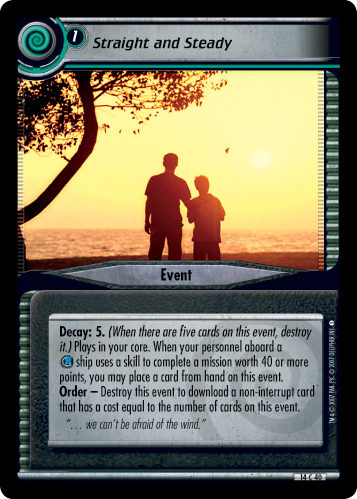 When an opponent is about to download a card, he or she can only download from the top ten cards of his or her deck. 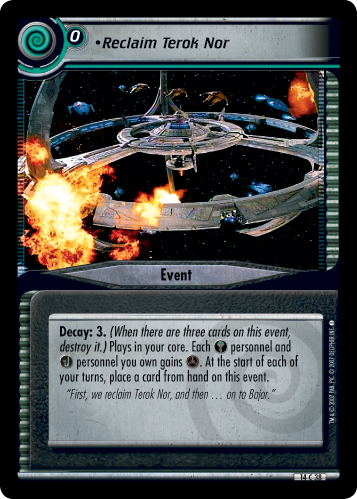 When an opponent discards a personnel from your hand or from the top of your deck, you may place him or her on the bottom of your deck instead.